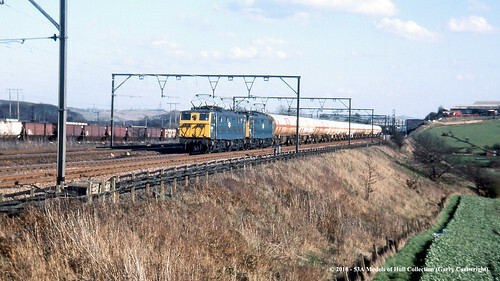 26/03/1981 - Orgreaves Colliery Sidings, Orgreave, Sheffield, South Yorkshire. 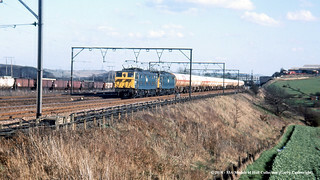 Two Class 76 locos (the second being 76033) at Orgreaves Colliery Sidings working a down empty cryogenic tank train, 6M59 15:20 TTHO Broughton Lane BOC to Ditton BOC Sidings - 26/03/1981 (16:12). © 2018 - 53A Models of Hull Collection. Scanned from the original 35mm colour transparency; photograph by Garry Cartwright.